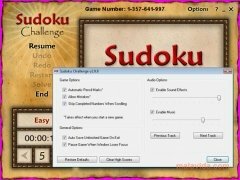 Sudoku Challenge is an interesting version for your computer of the Japanese pastime, Sudoku. 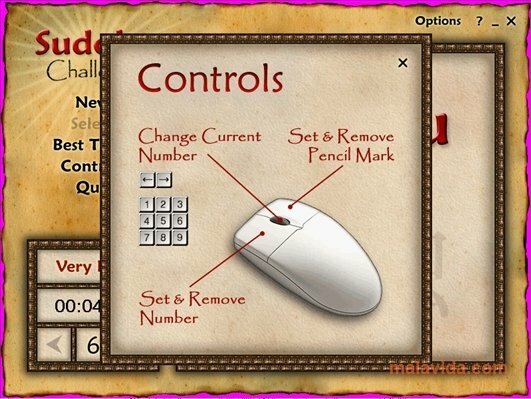 If you really like to solve this kind of mathematical problem, this video game will have you hooked for hours. 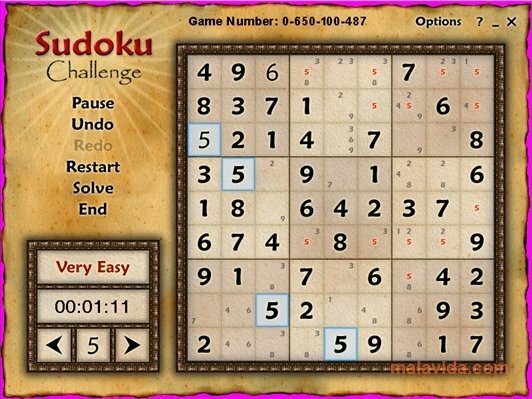 The objective of a Sudoku is to fill a grid with numbers from 1 to 9, starting of with a series of numbers that you receive initially. The difficulty lies in the fact that you can't repeat the numbers inside a group of squares or in any horizontal or vertical row. 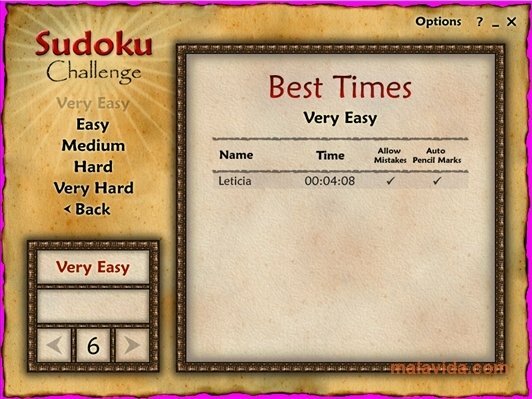 This lightweight application allows you to play Sudoku with several difficulty levels. What's more, in low difficulty levels the game will offer us clues to help us to discard numbers. 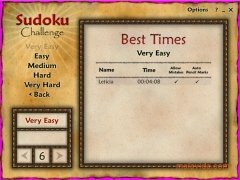 Sudoku Challenge counts the amount of time it takes you to solve the Sudoku, so that once you are finished it can place the score on a ranking. 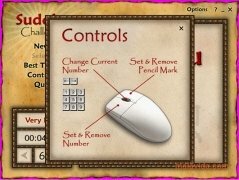 Thanks to the mouse and the number pad, we'll be able to input the numbers that go in each box. 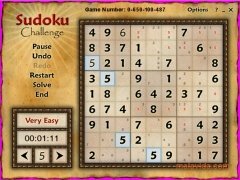 Sudoku Challenge also allows us to create notes with possible numbers that may go in a box when we aren't sure. 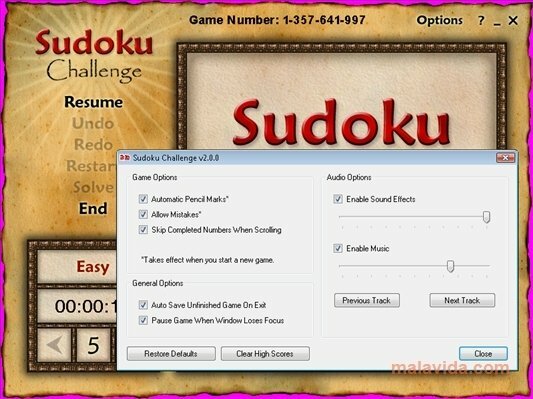 Sudoku Challenge will make sure you have a great time.